Apple has pushed out the first update to its new iOS 6 software, Beta 2, to developers today. (497MB), and brings with it various bug fixes and improvements. 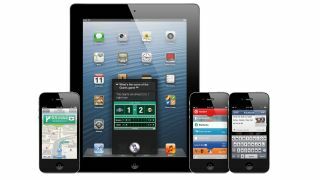 Apple initially announced iOS 6 at its WWDC event back on June 11, showing off an updated Siri, brand new mapping and navigation feature and a host of other updates and improvements. OMFG the cogs… are spinning! However far more excitingly Apple has added an animation to its famous Settings icons – as the latest update downloads on the iPhone, the three cogs in the icon spin – who says Apple don't innovate? Luckily for you guys the chaps over at 9to5 Mac have videoed the cogs in action, take a gander below. The iOS 6 software update is expected to land on people's iPhones (3GS and above) and iPads (2 and 3) sometime in October, possibly considering with the launch of the iPhone 5, but all Apple is saying is that the latest OS will be available in the Autumn.